:: A large number of dead seabirds are being found at Pismo Beach in California, and so far no-one knows whether it’s the drought, ship collisions, or another cause. :: The Minneapolis chapter of the Audubon Society organized a protest yesterday at the new Vikings Stadium, calling on the Minnesota Sports Facilities Authority and the Minnesota Vikings team to upgrade the design to include bird-safe glass. :: The US this week created the largest marine reserve in the world by expanding Pacific Remote Islands Marine National Monument in the south-central Pacific Ocean, increasing the monument to cover 490,000 square miles, six times its current size; among the marine life protected are seabirds such as boobies, frigatebirds and Sooty Terns. :: This year’s Winter Finch Forecast is out! Many thanks to Ron Pittaway of Ron Pittaway of the Ontario Field Ornithologists. :: Birds have better judgment of their body width than do humans, according to a research project to design autonomous aircraft navigation systems, at the Queensland Brain Institute’s Neuroscience of Vision and Aerial Robotics laboratory. :: One of Britain’s rarest birds of prey, a female Montagu’s Harrier, has disappeared from the Queen’s estate at Sandringham, and its satellite tracking device has stopped transmitting; the bird is one of only seven breeding pairs remaining in England. :: Managers at the celebrated Sydney Opera House are considering using a giant mechanical bird of prey to keep hungry but nationally protected Silver Gulls away from diners at the outdoor venues. :: Minnesota’s Pigeon Lake Islands have been closed to visitors because of Newcastle Disease, a contagious virus which has killed several dozen cormorants and pelicans. :: Researchers have discovered that the relationship between the Hadza hunter-gatherers of Tanzania and the Greater Honeyguide Bird, in the search for wild honey, is not mutually beneficial as previously thought, with the Hazda not rewarding the birds with honey in order to keep them hungry enough to continue guiding. With severe drought covering 95 percent of California, The Nature Conservancy has leased 14,000 acres from rice farmers, then flooding them to create “pop-up wetlands” for migrating birds. After a public outcry and despite permission on public health grounds, the Tesco supermarket in Great Yarmouth, England, has postponed plans to shoot a Pied Wagtail which has taken up residence in the store. A study on how the earliest birds, 150 million years ago, learned to fly has revealed that from the first day after hatching, birds have an innate ability to maneuver in midair. A paper published this week shows that birds living in the Costa Rican rainforests represent around 4.1 billion years of evolutionary history, compared to those that occupy nearby farmland which represent as little as 3.3 billion years, suggesting that agriculture, especially intensive monoculture farming, “diminishes phylogenetic diversity”. My monthly post is up at the Bird Canada blog, Early Autumn on the Prairies. Come over and join us! :: A remarkable photo, taken last December, of a Mascarene Petrel — not only is it one of the first photos taken at sea of the rare species, but it’s the first picture of any bird flying while obviously bearing an egg, and is also the first evidence of the species’ return from its pre-laying exodus. 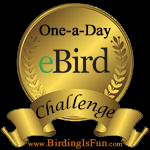 :: One day last week, three different airplanes landing at LaGuardia Airport in New York in four hours experienced bird strikes; it’s not known yet what species were involved. :: A company in the Netherlands is testing remote control operated robotic eagles and falcons, called “Robirds”, to scare away real birds from airports and farms. :: An influx of Cattle Egrets has closed a playground in Houston, Texas. :: From Pat at Bird Canada: What Hawk Is This? Or Is This A Hawk? These flocks of Passenger Pigeons could contain hundreds of millions, if not billions, of birds. By the 1870s, Passenger Pigeons could still be seen in large numbers, but a mere 40 years later, only two of the birds remained, Martha and George (named after President and Mrs. Washington). 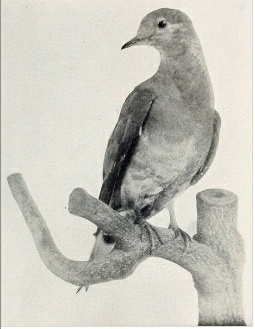 After George died, Martha was the only bird of the species left. In 1899, her caretakers at the Cincinnati Zoo offered a $1,000 reward to anyone who could find a mate for her, but no-one ever succeeded. Martha lived to be 29 years old, but on September 1, 1914 (100 years ago today), she was found dead in her enclosure — the very last of her species. Martha, mounted, is now on display at the Smithsonian‘s National Museum of Natural History in Washington, DC, as part of the exhibit, “Once There Were Billions: Vanished Birds of North America”, from now until October 2015, to commemorate the centennial of her death. The exhibit includes mounted specimens of three other extinct avian species — the Great Auk, Carolina Parakeet, and the Heath Hen. Running in conjunction with “Once There Were Billions” is “The Lost Bird Project” by artist Todd McGrain, at the Smithsonian Libraries and Smithsonian Gardens, from March 27, 2015 through May 15, 2015. It’s nearly impossible to understand that these birds were so plentiful at one time, but habitat loss and overhunting was too much for the species. It’s so sad to think that we humans were the main cause that led to the extinction of the Passenger Pigeon, a species that migrated in flocks of billions, now not a single living bird left on the planet. Interestingly, especially with this year’s centennial, there has been discussion and even some progress about a “de-extinction” program for the Passenger Pigeon, and perhaps for other species, such as the Mammoth. But it concerns me to think that such a program might cause people to be less concerned, rather than more concerned, about species conservation and the threat of extinction, and it also does not take into account an environment that has been without billions of one species for more than a century. 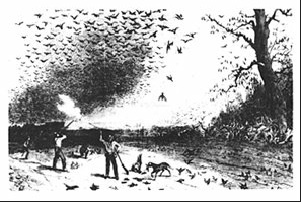 There are many questions to ask ourselves now, as we remember Martha and the billions of other Passenger Pigeons who filled our skies. 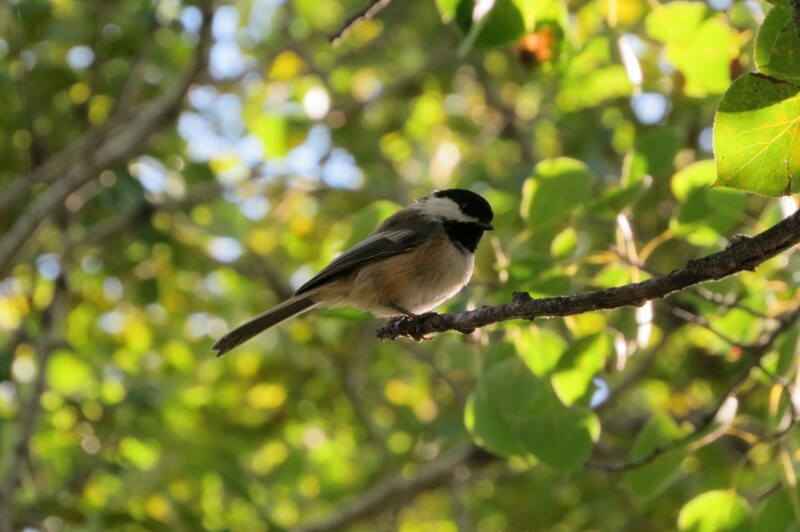 The state of Mississippi’s Commission on Wildlife, Fisheries & Parks accidentally banned backyard bird feeders last week. The Madagascan Pochard, already the world’s rarest bird, is in danger of dying out because of human threats to the one wetland the duck calls home. A “poor innocent pelican is off the hook” after court officials found that a sports car aficionado who drove a Bugatti into a saltwater marsh and totalled the vehicle was not distracted by the bird but behind an insurance scam.